I needed a new computer and generally don’t like getting new things. I’m not a very good consumer (unless I’m buying food, I love food) but I really needed a new laptop to replace my beloved, tried and true yet aging, Dell Latitude D630. It has been a great machine but has been come to the end of its service life. There is only so much you can do to a machine of nearly 10 years to keep it current and some of the surprise battery failures really chapped my hide. I was very specific about the machine I wanted as my replacement. My minimum, must have requirements for this machine was, dock station capability, built in Smart Card reader, 1080p screen, a removable media bay and in a 14″ platform. Certainly, this is not a popular setup for most but it is what I very much require. 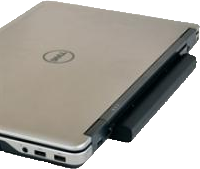 The machine that fit the bill was the Dell Latitude E6440. I realize, this is not a new machine, I believe they were discontinued in 2016 but it is just the right age for me as there will be no hardware surprises. I didn’t have to do much here. The only task I was interested in doing was to have all the necessary updates, specifically the firmware and the like from Dell completed before I killed Windows 7. Primarily, I wanted to ensure that I wouldn’t fiddle around with updates after I switched it to Linux. After the firmware updates from Dell, I reset the machine and went into the BIOS to deactivate the secure boot and put it in legacy mode. My understanding is that it is no longer a necessary step but I didn’t want to fiddle with it. For most cases Leap is probably the choice I would make for most people. It is an “enterprise hardened” distribution that is super rock solid. I also have a desire to do more when it comes to testing and development, etc. I really wanted more up to date packages and I really wanted to kick the tires on a rolling release to see how it works for me. I had an expectation of stability issues and some reservation on whether or not this would be good enough for my personal “multi-tool” rig. Leap has been great but it was time to see how this rolling release would work for me. I don’t typically stay on the cutting edge of technology as I don’t want to bleed to death but I had some very specific requirements based on my experience with my previous primary machine. There were some features lacking that I really wanted and some features that I didn’t want to give up. These were my requirements. 14″ chassis, 1920×1080 screen resolution, AMD GPU, Smart Card reader, back-lit keyboard, removable media bay, dock station capability, built in web cam and SD Card slot. I fitted it with 16GB of DDR3 RAM and am looking at doing an eventual SSD upgrade. I have very specific reasons for wanting these specifications, all of which are likely uninteresting so I won’t go into all my reasons. For most of my day-to-day operation of my machines, 4GB is actually plenty. When I want to test something in virtual machine, I needed more space. It just wasn’t practical, even on my 8GB machine to run my regular load plus a virtual machine. I needed more. I wanted 32GB but my size requirements trumped the memory desires so I had to settle for something with 16GB. You can get benchmarks from anyone and as much as I like those numbers they are really pretty meaningless. What matters to me is how long does it take to boot up or return from suspend. How good is battery life on this machine under typical work loads. Sure,I can monitor my power usage in Kinfocenter and watch the energy consumption and give you an analysis but my usage is likely to be different than yours. What I care about is making it thru a long meeting or half the day or whatever my needs are under specific work conditions. When I click-to-open something do I feel like I am waiting on the machine or is it snappy. First, which is probably the most important issue is, how does it feel when I use it. This machine is running KDE Plasma and it has an incredibly smooth and silky feel to it. It is so incredibly buttery smooth and crisp that, in my perspective, looks better than what I have experienced on MacOS or Windows. I have yet to experience a situation where it feels laggy but I haven’t run more than 2 virtual machines at a time. Things just pop, everything loads fast, running on a SSHD, I will be very interested in seeing how it works with a true SSD. That will come later. 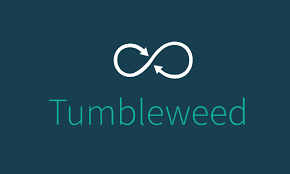 I have seen benchmarks that show openSUSE Tumbleweed is faster than Leap in certain tests. I don’t have a fair comparison between the two as I am not running Leap on this machine, only Tumbleweed, If there are some performance increases, that’s great and I appreciate it but those nitty-gritty details are not real important for what I am asking my machine to do. I don’t do much gaming and it is usually retro gaming. For my tasks, it is running superbly and has been very stable; a testament to the openSUSE project. I wanted a machine with good battery life and I certainly have that with this machine. It has a 9-cell battery, the age of which I am not certain but I am getting about 5 hours of battery life doing the basic tasks that I require. That includes working in LibreOffice, streaming audio or video, Firefox and Chrome with multiple tabs open. When running virtual machines it is obviously lower and when I am doing very simple tasks a bit longer but to say I get 5 hours is a safe and conservative estimate. I am quite pleased in the battery life of this machine. This machine is basically the perfect size. It is very portable, albeit a bit thick compared to the ultra portables out there but they did pack a lot into a small package. The speed of this machine, for everything I do, is phenomenal. I often run a couple virtual machines simultaneously to test software on installations of Leap and Tumbleweed in order to not bork my host system. Having a full 1080p screen is so nice to have. I know that there are sharper displays out there but for my purposes, 1080p is the sweet spot. I can adjust the size of text and icons perfectly. I have the perfect screen real-estate to do all that I need to do. The built-in features including the optical media drive, which I have used several times and smart card reader are must-haves for me still and this machine just fits the bill perfectly to do all that I need to do. It is a perfect stand alone system that requires no dongles or accessories and I can accomplish 95% of my workload. I have 16GB of RAM in the machine, which is its maximum. It is, I suppose a little low for 2017 but I’m not doing anything at this time that pushes it. Maybe someday. What I will purchase for this machine is what is called a “Battery Slice” that attaches to the dock connector of this machine and provides double my battery capacity. There aren’t too many situations where I need more battery life but when those times do present themselves, and they will do so, I will be glad to have that extra run-time. The back-lit keyboard is really pretty great. They keyboard itself feels real nice. It has the perfect key travel and the right resistance that typing on it is very satisfying. Being able to use the computer in low-light situations by having the keys nicely lit up for me to poke at is very convenient. I do touch-type but getting those Function keys and remembering what symbol is on what number of the keyboard can sometimes escape me. The overall design of the machine is very nice. It looks nice, is not flashy but has nice lines and coloring to it. Simple and elegant. It feels solid and quite well constructed. It is very easy to take off the bottom cover to do upgrades or serves the interior of the machine. It is as though there was a lot of thought put into the design of it. Not just the appearance but pragmatic details for those that have to keep these things running, replace components and do upgrades. I would say that this machine is an improvement over my previous machine in all aspects. The weight but I have no room to complain here. It is a solid well constructed machine, it is only to be expected that it is going to have some weight to it. I am still on the fence about the newer keyboard layout of this Latitude. I really liked the D Series layout and I miss the menu key. I was probably the last person in the world to use it but I used it frequently. I am also on the fence about the position of the page up and page down keys. In a way, way more convenient, but I am just not used to it. I’m not sure if it is a Tumbleweed issue or a hardware issue with this machine but plugging a headphones directly into the computer itself does not automatically switch the sound output, I have to manually move it over. However, when on the dock station, it switches the sound over to that headphone jack immediately. Not a huge issue, just kind of annoying. The Dell Latitude E6440 is a great machine. It has everything I need and it is what I want out of a laptop. The perfect size for me. Yes, it is a bit heavy but I wanted the secondary drive bay for optical media. I also want the option to throw in a hard drive for testing other distributions and such on “bare metal” without messing up my main install. I don’t see a machine that is a direct replacement from Dell at this time and that does concern me but I think that this machine will last me for a few years before I outgrow it. My hardware needs will likely change over time. Right now, this fits the bill in every way. It is not the fastest, best on battery, most portable machine but it has just enough of the right features for me to get what I need done today at home, work or a remote site. Great job on this machine Dell and great job openSUSE for working flawlessly on this machine.